“One of the questions that came up today in my meeting with Nigerians in Poland was on the issue of whether I‘ve been cloned or not. The ignorant rumors are not surprising. When I was away on medical vacation last year a lot of people hoped I was dead. I can assure you all that this is the real me!”- President Muhammadu Buhari, 2nd December, Krakow, Poland. Seven examples will suffice: Adolf Hitler claimed to be a democrat, Pol Pot claimed to be God-fearing, Atilla the Hun claimed to be an angel, Ghengis Khan claimed to be benevolent, Josef Stalin claimed to be a deliverer, Idi Amin claimed to be the messiah and Augusto Pinochet claimed to be a peacemaker yet history recalls that all seven were nothing but hideous bloodthirsty monsters and cold-blooded mass murderers. If President Muhammadu Buhari really wants us to believe that he is not Jubril Aminu Al Sudani I challenge him to have a two-hour inter-active no-holds barred live media chat on national television. I challenge him to conduct a one hour non-stop conversation in Fufude, the Fulani language, on national television. I challenge him to call out Eric Stuart Joyce, the former Brirish MP, former Army officer and former MI6 agent, for declaring him dead sometime last year and for accusing the Nigerian intelligensia, authorities, media, intelligence agencies and ruling elite of being complicit in the conspiracy and the Nigerian people of being the most gullible and naive in the world. I challenge him to deny the fact that body-doubles were often used in the civilised world during the 1960’s, 1970’s, 1980’s and 1990’s for security reasons and they often represented Presidents, Prime Ministers and Heads of State at official functions and events. Finally I challenge him to tell us whether it was a coincidence that Haibu Almu, the Nigerian Consul-General to the Sudan and NIA agent that allegedly discovered Jubril Aminu Al Sudani and proposed him as a credible and convincing body-double for the ailing Buhari in 2016, was suddenly knifed to death in Khartoum in May 2018 just a few weeks after his alleged role in the whole sordid “body-double” saga was made public. Though I cannot vouch for the veracity of this allegation and rumour one thing is clear: a significant number of Nigerians do not believe that the man in Aso Rock Villa is the Buhari that they know and, rightly or wrongly, their perception is that there is something fishy going on. Given their disposition and suspicions, I submit that there is only one course of action that can settle this raging issue conclusively and bring closure to it: a DNA test organised and administered by a highly respected and certified foreign medical practitioner who must be jointly approved and appointed by the World Health Organisation, Medecins Sans Frontieres and the Red Cross and who must conduct this crucial assignment under the direct supervision and auspices of the United Nations. A jocular and dismissive statement from the distant shores of Poland saying “I am not a clone” will not make this matter go away. And neither will a predictable affirmation from the Minister of Labour and Productivity, Chief Chris Ngige, that the President is the real Buhari provide the necessary evidence or assurance. If we can elect a man that cannot produce (and in my view never had) a WAEC certificate as President and one that can celebrate the fact that he was awarded an “attestation certificate” from WAEC in 2018 at the ripe old age of 80 (yes 80), then the assertion that we are being ruled by a body double is entirely possible and cannot be completely ruled out. The worst atrocity that the President, the Federal Government and the ruling APC party has inflicted on us as a people over the last 42 months is not the genocide that we have suffered under them, it is not the mass murders and it is not the ethnic cleansing. It is not the fact that 40% of our people and 70% of our graduates are now unemployed, it is not the fact that 50% of Nigerians are now living in extreeme poverty, it is not the fact that our stock market has lost over 2 trillion naira in one year and it is not the fact that our country is now the poverty capital of the world. It is not the fact that over the last three years and six months the naira has depreciated by over 150% and it is not the fact that our government is attempting to bribe voters with public funds in the name of “trader-moni”. It is not the fact that they have lied to the Nigerian people and to the world that they have defeated Boko Haram, it is not the fact that the West African branch of ISIS now carries out terrorist operations in various parts of our country and it is not the fact that a new and utterly ruthless Malian militia now carries out terrorist operations in the north west. It is not the fact that they have insulted CAN, marginalised Christians and humiliated the Church and it is not the fact that they are shielding and protecting military officers and Boko Haram members who committ atrocities. It is not the fact that they have slaughtered thousands of Shiite Muslims and it is not the fact that they have demonised IPOB, labelled it a terrorist organisation, butchered thousands of its youths and sought to destroy it even though its members have never threatened violence, attacked or killed anyone, waged an armed conflict on the state or carried guns. It is not the fact that 13.5 million Nigerians voted without a PVC in the 2015 presidential election and that 75% of them did so in the states where Buhari “won”. It is not the fact that they have wilfully refused to sign the Electoral Act Amendement Bill, it is not the fact that they have blatently refused to heed the patriotic call for restructuring of the country and it is not the fact that they have looted, stolen and plundered more public funds than any other government in the history of our country. It is not the fact that one of the greatest sons of Africa and one of the most respected and reverred world leaders and elderstatesmen that has ever lived, President Olusegun Obasanjo, recently and rightly said when commenting on the performance of the Buhari administration that “only a fool will sit on the fence or be neutral when his or her country is being destroyed with incompetence, corruption, lack of focus, insecurity, nepotism, brazen impunity and denial of the obvious”. It is not the fact that every single Nigerian former Head of State and President has given the Buhari administration a vote of no confidence and has refused to endorse them for a second term. As frightful, scandalous and unacceptable as all these failings are, not a single one of them demeans, diminishes and damages us more than the possibility that, for the first time in our history and indeed the history of the entire world, a massive multi-religious, multi-ethnic and multi-cultural nation such as ours is saddled with a President that many genuinly believe is not who he says he is and that some believe is a foreigner and a body-double! 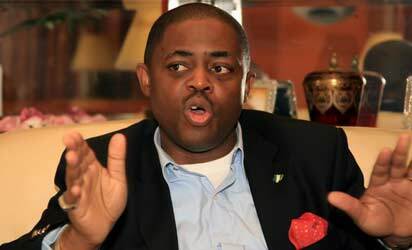 Femi Fani-Kayode was former Minister of Aviation and spokesman for the Goodluck Jonathan Campaign Organisation.